Mulling over whether it’s worth spending more on organic greens, nectarines, or milk? You’ve got company. The assumption that organic produce tastes better and is better for you than conventionally-produced fruit and vegetables is as bruised as an organic farmers’ market peach brought home on a bike. Photo by Flickr user Auntie P used under the Creative Commons license. Consider this: A major study out of Britain which garnered loads of press last week, concludes that there’s no evidence that organic produce and livestock products are more nutritious than conventionally-grown food. The research, published in the American Journal of Clinical Nutrition, reviewed 50 years of scientific literature on the subject, and focused on 55 rigorous studies. Nestle sites superior taste as another factor in forking out more for organic, and many consumers concur. There’s nothing like the juicy, flavorful first bite of a richly-red, ripe, organic, locally-grown, sun-warmed, freshly-picked tomato to make organic converts out of people used to mushy, bland, pale, cold-storage, conventionally-grown tomatoes flown in from afar to sit on supermarket shelves, right? Wait, not everyone agrees. The notion that organic produce is always more delicious than conventional fruit & veggies has also been called into question of late. Los Angeles Times food editor Russ Parsons, a self-dubbed, non-believer in organics, notes that the label doesn’t guarantee superior quality or taste. Still, sales of organics have doubled since the federal government began certifying food as such about seven years ago (though it still represents a tiny percentage of overall food sales). Most U.S. grocery stores now stock some organic produce or products, and 1 out of 3 Americans have purchased organic food at least once. 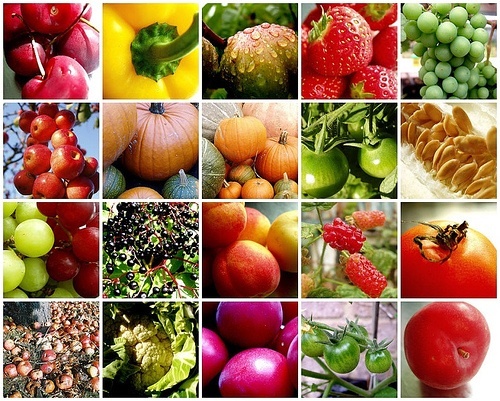 Bittman argues in his recent post that the national debate on food should focus more on how to eat well — sticking to real ingredients, eating more plant-based food and less animal products and highly-processed foods, cooking from scratch (aka author Michael Pollan‘s thesis) — rather than whether or not you load up on organic versus conventional goods. So, then, readers, where do you stand on the organic debate? Is buying organic produce worth it or a waste of money? Share your opinions below. My feeling is that so many of the studies are actually inconclusive, or seem focused on only one aspect of the debate, as Marion Nestle pointed out in her response. Obviously, eating more fresh vegetables and fruits is the ultimate goal; buying local or organic or from your local farmer seems to make the most sense. I would much rather, at this point-knowing or not knowing, buy food that I know is grown without pesticides, for my health if not the environment. I also don’t believe in the hype that organic is always more expensive if you do your shopping well, I mean Whole Foods is not the end all–; then again we are in the bay area. I agree with the points you make, I think many folks do. If you have any tips about buying organic on a budget, bring ‘em on. Like so many decisions in life, I think it’s complicated. While those who think organic is the answer oversimplify, so too does Russ Parsons. Agree that it’s complicated in terms of buying organic and the health benefits to your own family. It’s not so complicated when you look at the farm worker families working in the fields where the pesticides are sprayed. Science is only starting to look at this issue, but the potential link to pesticides and Parkinson’s disease (see Science Daily from April 2009 – http://www.sciencedaily.com/releases/2009/04/090421091705.htm) and perhaps Alzheimer’s disease (see Greater Boston PSR’s recent report Environmental Threats to Healthy Aging – http://www.psr.org/chapters/boston/health-and-environment/environmental-threats-to-healthy-aging.html) makes you think twice before buying conventional produce – if you have the resources to make that choice. Maybe not for your own family, but the health of the larger community. Julie is taking a very careful, scientific approach. I will not be as detached. On my mother’s side of the family we are from Chiapas, Mexico. My family are farmers and in a family known to live easily into their eighties, my eldest uncle, Guillermo, died of inoperable brain cancer 11 years ago at the age of 56. The cause was his extended exposure to pesticides. He was 14 months younger than my Mom, and consequently they were very close. He will always be her little brother. Besides being robbed of 30 years of life, and leaving behind my cousins and widowed aunt, it is tough to support the use of pesticides just to buy perfectly red – and bland – tomatoes. No thank you. Hi Isidro, Thank you for sharing a different, important — and very personal perspective — on this debate.